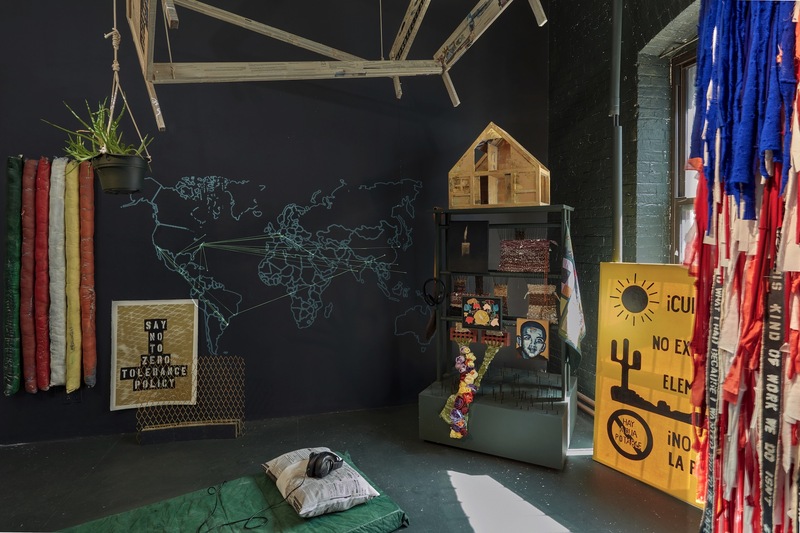 This Place Called Home is a social engagement and a multimedia installation project about the diaspora and the hisptires of settled and unsettled immigrants, including refugees. I investigate memory and belonging. The stories start from a very personal place. Interviewers were asked what "home"means to them and to tell stories that has marked their lives as immigrants. When shared, they become part of the collective memory beyond borders. The viewer is reminded that human migration has been part of our existence for 1.75 million years and deeply connected to our identies as human beings. Its final form is a "Welcome Museum", set in the gallery or art institution. 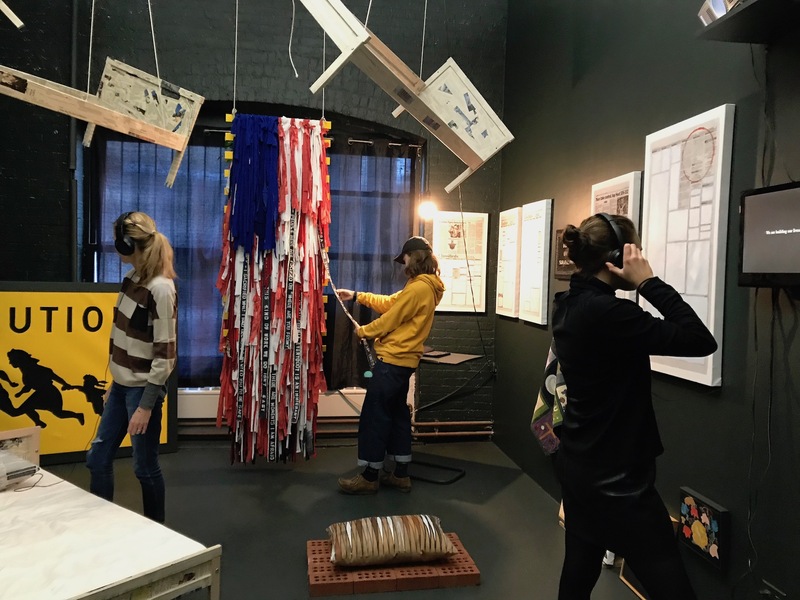 In the installation, the viewer will engage with the installation while listening to the interviews in 4 channels/headphones intercut with President Trump's "The Four Pillars of Immigration Reform" speech given at his first State of the Union Address aired on January 30th/2018. 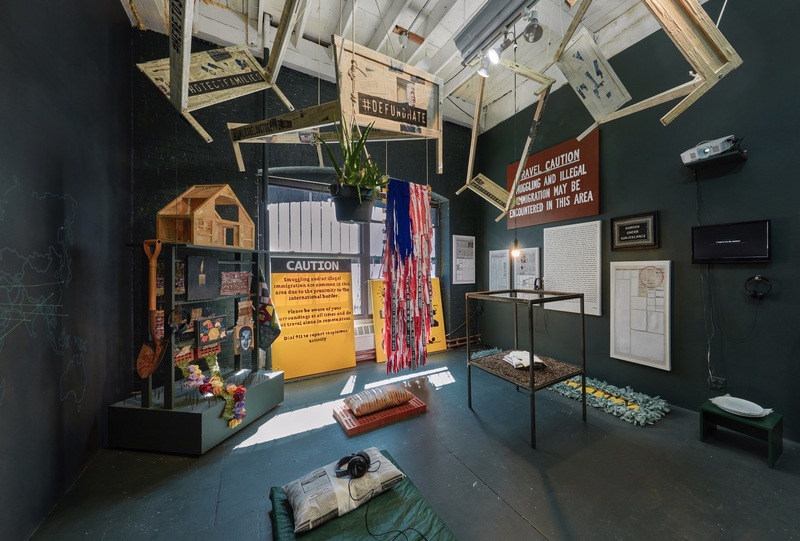 The installation is composed of suspended bed frames, floor mattresses, a flag made of donated clothes and interview quotes, a memorial sculpture, a map of immigrant paths, a steel container containing immigration articles published in all national newspapers since January 30th of 2018 to now, a painting series (Immigrant Seeks Immigrant—a personal classified call I posted in newspapers), objects, and finally, a comprehensive art book of the process including the interviews. IMMIGRANT SEEKS IMMIGRANTS FOR CONVERSATION: After an add-call I placed in the local newspaper and published throughout 11 days, I met immigrants and recorded their stories. Finally, these stories were translated into a collective quilt as well as an audio piece. I pared the interviews with President Trump's The Four Pillars of Immigration Reform, at his first State of the Union Address aired on January 30th of 2018. All published news on Immigration, policies, and reform during April can be accessed in this installation as well. At the Berkshires, I recorded stories and instructed “Quitting Under the Northern Skies,” a two-day quilting workshop, meant to act as a communal and creative safe space for personal narratives about Identity and belonging. The project grew as I become more and more involved with the organization Dont Separate Families and my volunteer work is helping refugees to adjust to NYC. For this exhibition, I created two original pieces named In November, I am Thinking About Going: a surveillance sign and a video, both parts of my long-term immigration project. They are my response to the question of Freedom in the U.S., the liberty to come and go, the right to privacy, as fundamental principles embedded in our history and culture. In 2017, I interviewed Marisol, an immigrant from El Salvador living in NYC for 24 years and at the margin of illegality. She has a temporary work permit but no papers nor permission to travel to her home country. According to the U.S. Department of Homeland Security, the number of apprehensions (administrative arrests) of undocumented immigrants at the U.S./Mexico border has decreased from 2010-2016, while the number of El Salvadorians went up from 29,911 to 78,983. Her voice is the embodiment of the current overwhelming immigration state. One may love two places, two countries, as Marisol says. However, the constant fear and real threat of having one or both taken way are unbearable to an undocumented immigrant: the border is under surveillance. I spent countless hours cross-stitching for this exhibition, an activity I did during the summers as a child back home in Brazil. It took me three months of labor to cover close to 35,000 stitches and get the message across in the "surveillance" sign: the current policies are betraying the very nature and the principles upon which the United States is established. The U.S. has always encouraged immigration and supported the transformation of newcomers into Americans who will embrace America's civic culture and political institutions, thus creating one nation from many peoples. American quilts are a living document of the empowerment of Immigrants, especially immigrant women. Quilting became essential in the homes of the earliest immigrant settlers. They had no labor or materials to spare, so they typically found the most straightforward, most expedient solutions to produce home goods to survive the winter, in the beginning, reusing any extra fabric they could find. Massachusetts, as an early colonial port and the home of several Mills, opened its doors to fabrics from England and France. Lately, textile scraps were also incorporated into early quilts. 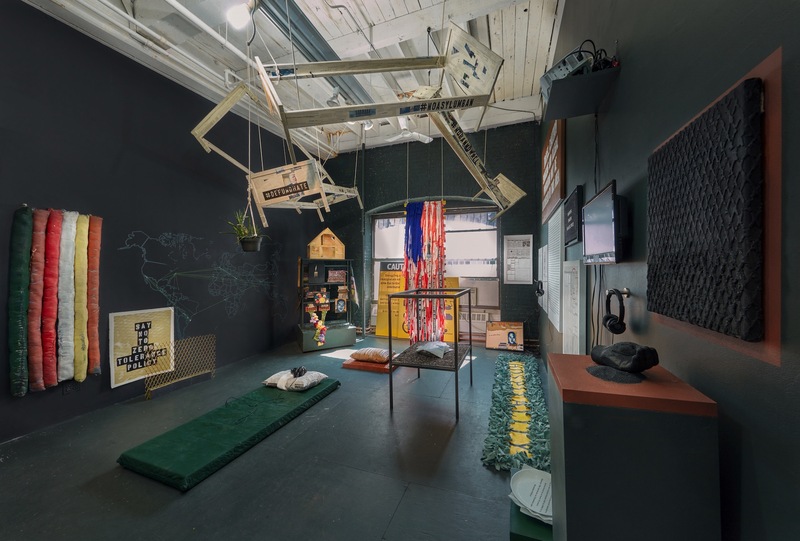 In conjunction with the Studios of MASS MoCA, the Artist Simone Couto instructed a quilt-making workshop with immigrants currently living in the Berkshire County area. 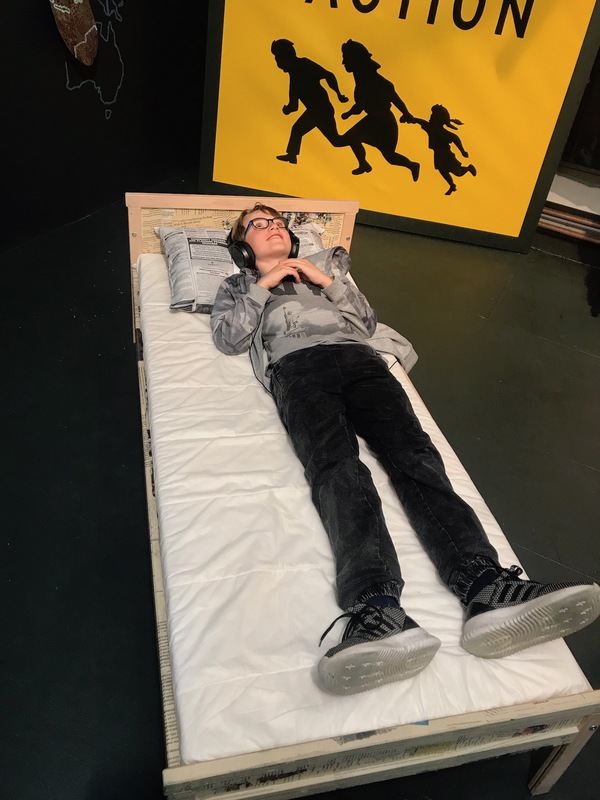 The workshop provided a safe environment for creativity and making where the artist and participants shared knowledge, life experiences, and stories about what makes a place feel like home.